CLICK ON THE INVITE TO SEE IT FULL SIZE! 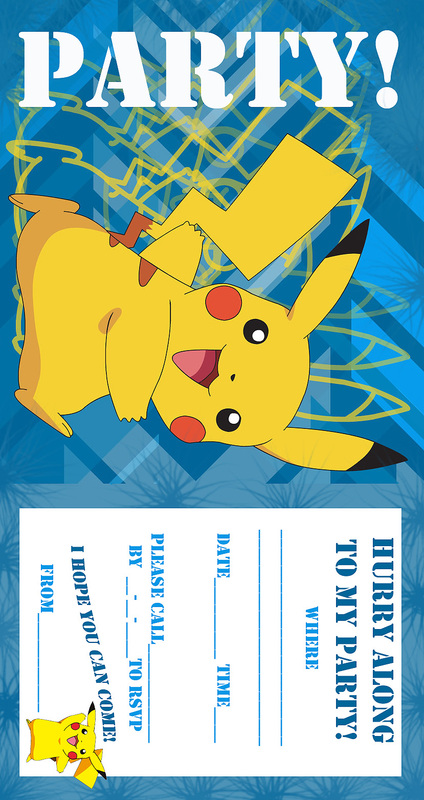 This Pokemon party invitation features Pikachu and looks lovely when printed - it's great and sharp. All the invites here are free and printable - they don't even have a watermark with this website's address - so print however many you need for your party.... and have a great birthday party!